100 Wardour Street New Years Eve Tickets 2018 – 2019 | The Hottest London Nightclubs - Get on the Guestlist & Book a table! 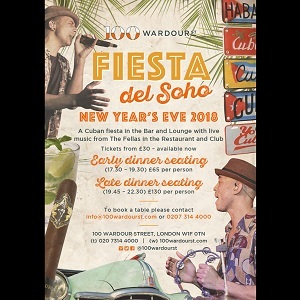 VIP Lounge are pleased to be able to offer tickets for this years 100 Wardour Street New Years Eve 2018 – 2019 event. Party tickets are now available, or book for dinner and stay all night. Downstairs for 100 Wardour Street New Years Eve, we will be offering a delicious 3 course menu in our Restaurant & Club at £65 per person for the early seating (17.30 – 19.30) and £130 per person for the late seating (19.45 – 22.30). Please note in order to confirm the booking the full prices of the menu needs to be paid in advance. A member of the reservations team will contact you for further information. Drinks tables are available both in the Bar & Lounge and downstairs in the Restaurant & Club, with minimum spends starting from £500. 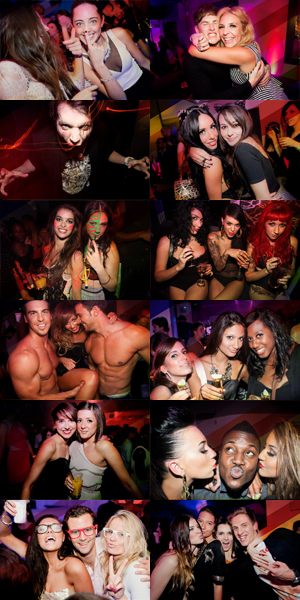 To book an area or drinks table, please call 0207 2052501.